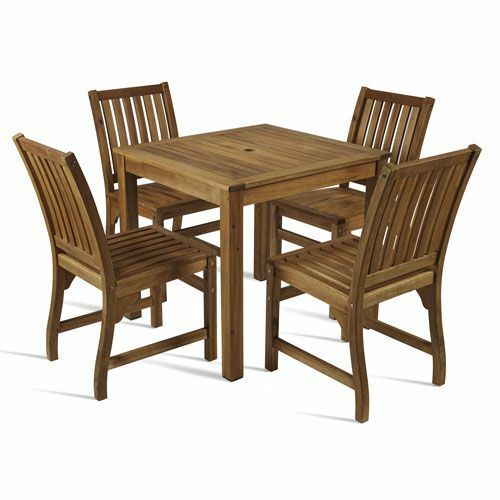 Dining set consists of one wooden table and four side chairs. Side chairs also sold individually. Looking for more Manual Pallet Trucks? Dining set designed for outdoor use.